TechCast founder William Halal was interviewed by Tim Hamilton, Founder & CEO of Praxent. Interested in learning more about how planners and decision makers can improve their strategic planning? Tune in to our recent interview on the Commanding Business podcast for more insights on technological forecasting in business. 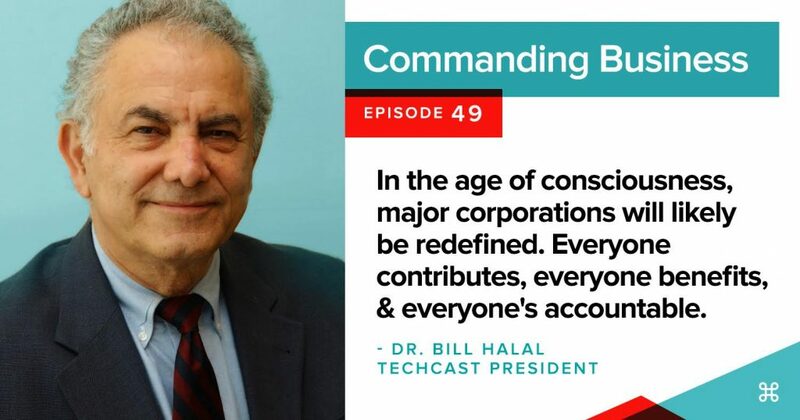 Tim Hamilton interviews TechCast founder, William Halal, on The Age of Consciousness, the impact of artificial intelligence, and the age of knowledge. Hamilton is founder and CEO of Praxent, an Austin web design company. Comment has been submitted successfully.